Data in retail was probably never about beer and nappies – the perhaps apocryphal tale about the superstore chain which spotted a late-night pattern in men buying nappies and treating themselves to a beer. Today, data is everywhere. In a rapidly changing sector, big market shifts are reflected in IT infrastructure management from the core to the edge. Edge data centers are creating computing ecosystems as they roll out across retail stores in response to new business drivers and new customer behavior patterns. 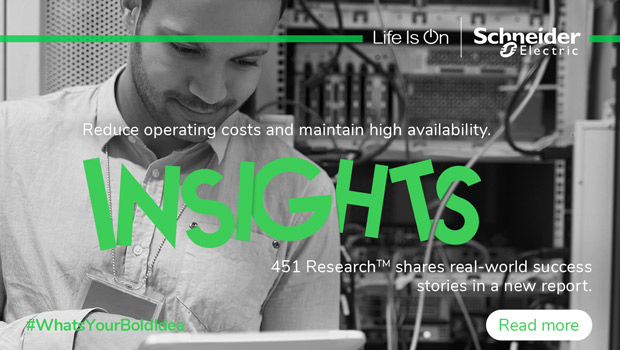 A Schneider Electric commissioned report from the 451 Group provides examples from two large US retailers. For one, the current focus is on rapid response and using monitoring at the edge to resolve service issues in almost real time. For the other the focus is on its evolution of the core and creating cloud native applications as it shifts workloads out of the on-premise data center to a more hybrid set up. Retail edge computing is now mission critical with services provision and remote DCIM monitoring becoming ever more important. At the core, retail data center operations are changing and typically span on-premise, hybrid and cloud. Migration between platforms is happening as proprietary workloads are replaced by cloud native applications. For retailers, distributed edge infrastructure management that offers visibility into system performance, business continuity and service across those ecosystems is vital. People visiting retail outlets routinely do an online check before making a purchase. One U.S. study put this figure at 82% of shoppers with many now expecting in-store discounts via smart phone apps. 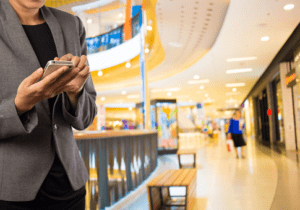 To stay competitive, traditional brick and mortar retailers, and the previously pure play ecommerce firms who are now opening physical stores, are embracing all forms of smart digital technologies that require a robust edge infrastructure to turn shoppers into customers. As a result, retail is an early adopter of IoT and quickly reaping its benefits. Today’s modern store will contain smart technologies including beacons, mirrors, shelves, and lighting, digital signage, HD video displays, self-checkout, and even VR, AR and virtual dressing rooms. The retail IoT stack is being designed to deliver data capture on the customer, data abstraction, data storage and ultimately real time data analysis. For retail enterprise IT this requires pushing more assets to the edge to ensure the digital and physical are seamlessly integrated to provide a data driven customer experience. At the back end, in-store data center operations at the edge will host applications to improve logistics, inventory and supply chain management to cut costs and drive out waste. As more and more data is generated on site or cached locally, so edge data center management requires resiliency on a par with core data center infrastructure through remote monitoring. If a purposeful decision has not been made to standardize deployments, edge data centers are likely to be heterogenous with different equipment and form factors deployed. This makes monitoring for health and performance vitally important. Vendor-neutral DCIM and Cloud based DMaaS (Data Center Management as a Service) will play an increasingly significant role in edge data center management. A solution which is flexible, can scale and can be configured in advance to remotely monitor the health of the data center fleet is required. 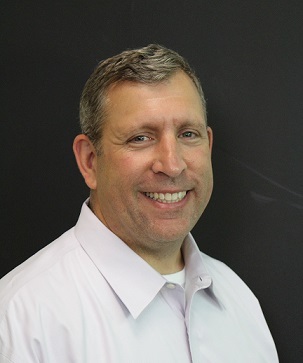 In the 451 Report: Six Real World Approaches to Managing Hybrid IT Environments, one director of data center infrastructure at a $500m US retailer described some the current challenges. Just as edge computing becomes a new platform, for many retailers what is happening at the data center core is also shifting radically. In the report, another $500m+ U.S. retailer revealed its challenges. This retailer plans to change the mix from an environment where 75% of IT is hosted on-prem. A migration path targeted for completion by end of 2019 will see this drop to 40%. The biggest growth will be seen in public cloud use (up from 5% in 2017 to 25% of capacity in 2019) and Colo (growing from 20% to 30%). Running a fleet of edge data centers presents unique challenges. Retailers can improve uptime, service level and predictability of IT in edge data centers, across the network, right into the physical store and back to the core whether owner operated, purely cloud or hybrid. Access the 451 Report: Six Real World Approaches to Managing Hybrid IT Environments to gain further insight into how six major enterprises found solutions to their most pressing challenges. 20th century retail could be characterized by the golden rule of: Keep the tils operating. In the 21st century that rule is now: Keep the data centers operating.